Pop Pop Fundraisers has helped organizations just like yours raise HUNDREDS OF THOUSANDS OF DOLLARS to pay for trips, equipment, and so much more. Whether you are in charge of a 1,000+ student school or a 7 man ball team, we have the experience to make your fundraiser great! 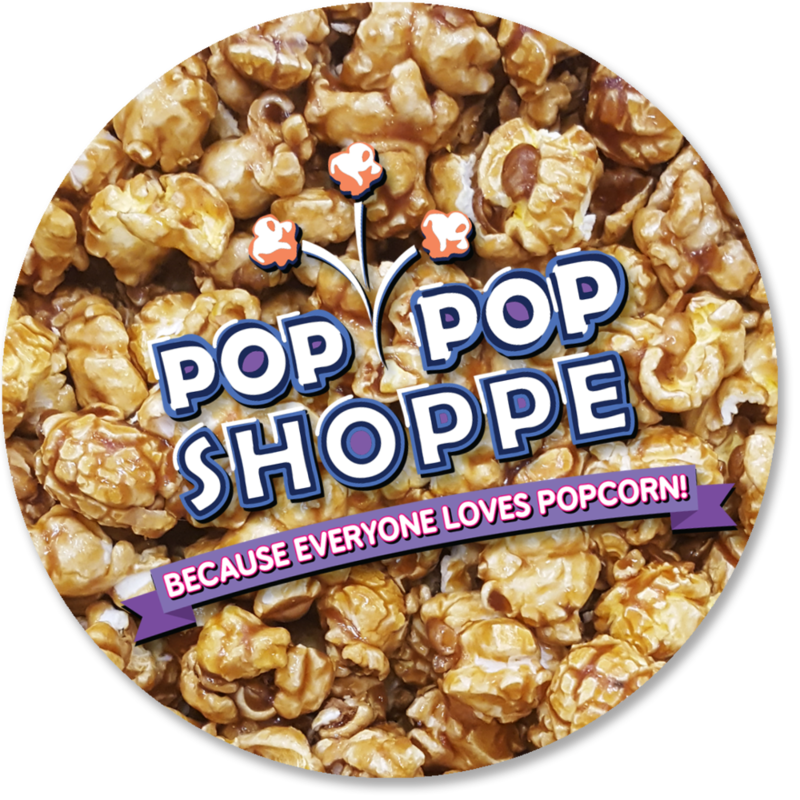 The experts from renowned gourmet popcorn boutique Pop Pop Shoppe create our handcrafted flavors. Sell something people are excited to receive! Avoid any upfront costs! We handle everything at startup to make your fundraising kick-off as easy as possible. Hundreds of thousands of dollars raised! Fresh world class popcorn, beautifully designed order forms, and fast delivery make selling a snap. of $43 PROFIT per student. of $49 PROFIT per student. of $48 PROFIT per student. Need custom school colors? Sure thing! All orders are pre-sorted and arrive when you choose. Fill out this form and a representative will be in touch to help with any questions or sample requests. Thank you! We will be with you as soon as we possibly can! Q. HOW LONG DOES A FUNDRAISER LAST? A. We suggest selling for 2 weeks. Once we get the order forms back we will deliver within 2 weeks as well. This means that a fundraiser takes on average 4 weeks, plus or minus a few days. Q. IS THERE ALLERGY INFORMATION AVAILABLE? A. Yes, please check out our Allergy Information. Q. UMM.. SO HOW MUCH DOES MY ORGANIZATION MAKE? A. Pop Pop Fundraiser will invoice for 60% the amount of sales at the time of delivery. This means that 40% of everything you sell goes straight to the bottom line, since there are no fees for order forms, delivery, sorting, or any kind of minimums. 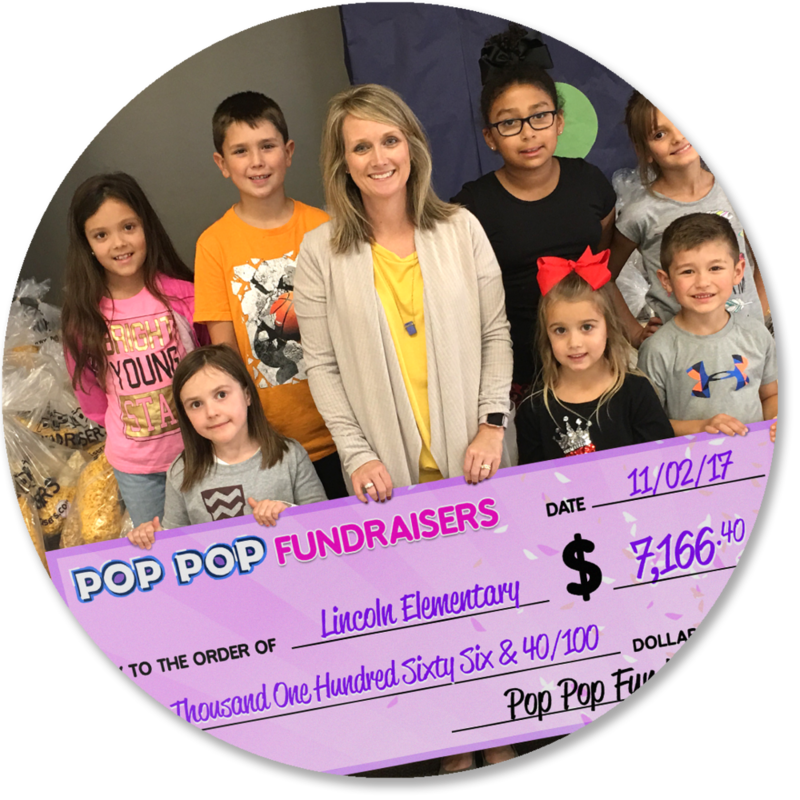 With a Pop Pop Fundraiser, you can only make money! Q. HOW IS THE MONEY COLLECTED? Q. HOW DO WE PAY FOR THE PRODUCT? A. On the delivery date we will bring an invoice for 60% of the amount sold. You may also request an emailed invoice before this date, or contact us in order to pay by credit card if you so desire. Q. DOES THE PRODUCT COME PRE SORTED? A. Yes! We will take each order form and sort out the popcorn for that seller, so when we deliver each sack will be labeled by name so that there is no work and no confusion in getting each person’s order to them. Q. WHO CAN DO A POP POP FUNDRAISER? A. We work with any organization who has a need to raise money! We have done whole schools of over 1,000 kids a time all the way to one single person looking to raise money for a mission trip, so there is simply no organization too large or small! Q. HOW IS IT DELIVERED? A. Our very own Pop Pop Van will come to your location and drop off the order!